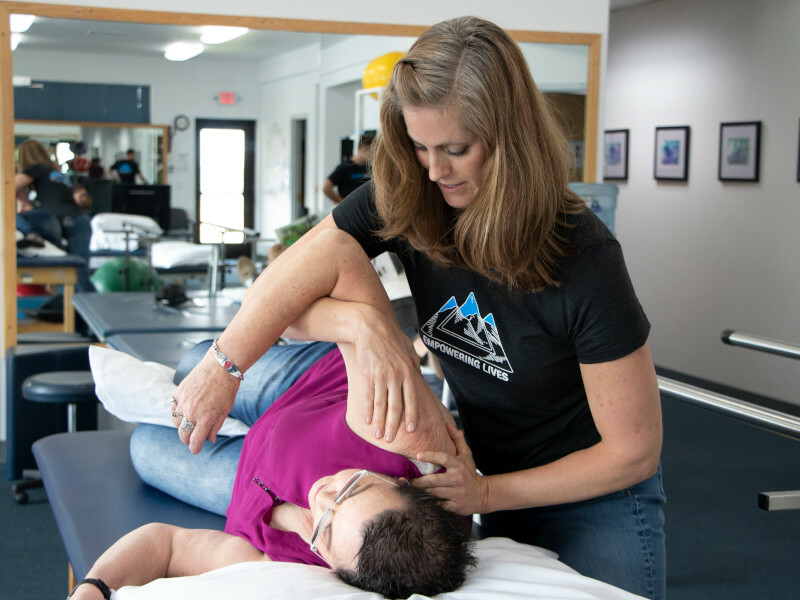 At Mountain Valley Therapy, our mission is to honor and glorify God in all that we think, say, and do by providing the highest quality traditional and specialty physical therapy treatments at our clinic in La Grande, Oregon. Meet your Mountain Valley Physical Therapy powerhouses. At Mountain Valley Therapy, we all know what it’s like to live in pain. Injuries, chronic pain, or being sidelined from sports is what led many of us to pursue a career in Physical therapy. Our goal at Mountain Valley is to provide you with the highest quality therapeutic care to reduce your symptoms, maximize your functional abilities and improve your quality of life. As a God-centered organization, our desire is to make a positive difference in the La Grande community through physical therapy, fitness and outreach programs. We want everyone who walks in our doors to experience healing and recovery in a professional medical environment, so that they too can experience the full joy of living. At Mountain Valley Therapy our mission is to honor and glorify God in all that we think, say, and do. To create a supportive environment in which employees can achieve their professional, personal, and spiritual goals and potential. To provide clients with the highest quality, individualized therapeutic care to reduce symptoms and maximize their functional abilities and hence quality of life. To promote active participation in our community by all employees. We work with any individual with symptoms that are limiting his or her physical abilities or affecting their life. Click below to learn about the range of symptoms we are equipped to treat. Not sure where to start or what treatment you need? We offer a free consultation with one of our physical therapists to determine the best course of action. Mountain Valley hosts a fantastic range of events and programs throughout the year to promote healthier living for the La Grande and Union County area. Come check out our turkey trot, Oktoberfest Run, Patriots Day Benefit BBQ to benefit the Wounded Warrior Project, Mountain Valley Freedom Fest, and many others. Our events calendar lists all the specifics you’ll need to sign up for these great events. Your primary physical therapist sees you for longer at Mountain Valley! One clinician. One patient. One hour. No handoffs. That’s our motto. Our goal is that you get more dedicated time with your therapist so that they can fully understand and address your needs before you move on to your physical therapy exercises. We understand that dealing with billing departments is unlikely to be the highlight of your day. Our personalized billing support means you can talk to a real person in our billing department at anytime during regular business hours and receive timely answers and support. Our goal is to make your billing process as seamless as possible. We hope you make a couple friends during your time here. Our billing office is friendly, helpful and accessible, our receptionist knows your name, and our therapists try to make the treatment all about you. Not only is the focus on you, but the treatment is designed to get you back to doing what you love, or breaking those limitations, or whatever it is you need. That’s the benefit of a relationship: you know us, but – more importantly – we know you, and when we know you, we can help you.